At eZanga.com, we had an employee go away on vacation for a week. It was already determined we wanted to do something to his cubicle while he was away we just didn't know what we wanted to do. 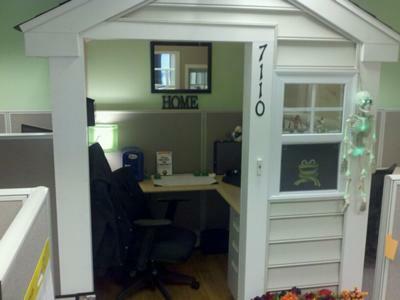 We saw that years ago someone had their cubicle turned into a house and so we figured we would try our hand at it. We also made a website to commemorate the occasion at www.extrememakeoverezangaedition.com. Damien: Wow! I watched the video. The house cube is really awesome! Kudos to you folks at eZanga.com. You guys rock.